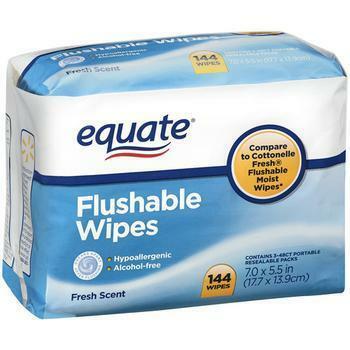 A backed-up sink or toilet is bad enough but entire sewer systems are getting clogged up by pre-moistened "personal wipes" and other consumer products that claim to be "flushable." The items, which also include baby wipes, paper towels and dental floss are becoming a major headache for utilities around the world. Just a few weeks ago, a huge 15-ton blob of congealed fat and wipes -- quickly dubbed a "fatberg" -- lodged in a drain, causing no end of problems. 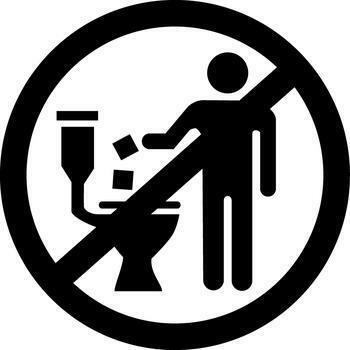 “Just because you can flush it doesn’t mean you should,” said I.J. Hudson, a spokesman for the Washington Suburban Sanitary Commission, according to the Washington Post, which said super-soft toilet paper and the toilet-cleaning wands that have "pop-off" heads are also contributing to the problem. Condoms and feminine hygiene products also belong on the list, sewer experts say. Hudson said his agency, which serves about 1.8 million residents in the Maryland suburbs of Washington, has had to spend more than $1 million to install heavy-duty grinders to keep the effluvia from clogging up its system. Downstream clogs are not only expensive for utilities, of course. They can cause sewer backups into homes and businesses that can't be cured by a simple call to Roto-Rooter. Sewer backups can also result in raw sewage being dumped into rivers and oceans. The fact is, the "flushable" label as it's used today doesn't mean much. said Dennis Thomasson, director of emergency response and metro operations for the Louisville, Ky., Metropolitan Sewer District. All the “flushable” label really seems to mean is it can fit down the plumbing inside a toilet, Thomasson told the Louisville Courier-Journal. 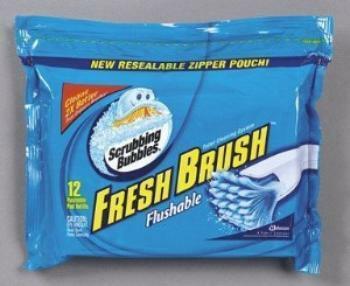 The Federal Trade Commission has taken an interest in the matter and has asked manufacturers for information about the "flushable" claims on their labels. A trade group, the Association of the Nonwoven Fabrics Industry, is also working on the issue and recently issued guidelines that suggest manufacturers subject their products to seven tests before declaring them "flushable." They suggest adding "Do Not Flush" logos to products that don't pass the tests. But the association -- official slogan: "Advancing nonwovens worldwide" --is also gleeful about the growing popularity of its members' products. “We are pleasantly surprised by the unrelenting growth of the disposable nonwovens wipes industry, even during these challenging economic times for consumers and businesses,” said Brad Kalil, the group's marketing director. "In the consumer wipes segment, which accounts for two-thirds of the tonnage, we still see sustained growth in the mature baby wipes category; while both household and personal wipes expanded at a rapid rate, not only through broader usage but also with continuous product innovation,” Kalil said, forecasting 16% annual increases over the next several years. How do you know if the wipes and other products you're using are flushable? The simplest answer comes from Cynthia Finley, director of regulatory affairs for the National Association of Clean Water Agencies, which represents wastewater utilities in Washington, D.C.
“Until we are sure that all wipes that are labeled as "flushable" are truly safe for the sewer system, it is best to throw them (all) away in a trash can,” she said. Don Wasko, who runs the wastewater system in Carlsbad, Calif., put it even more simply. “If it’s not pee, poop or toilet paper, don’t flush it,” Wasko said.